Providence, KY – Senate Majority Leader Mitch McConnell announced that the U.S. Department of Health and Human Services (HHS) will provide $5.6 million in combined funding for community health centers in Kentucky. The funding, which was approved by Congress earlier this year, will assist health centers in combating the opioid epidemic. The awards support HHS’s Five-Point Opioid Strategy, a comprehensive approach that uses science as a foundation. The Senator has been a proponent in this fight, which is effecting our nation at an alarming rate. He secured $4.6 billion, which is the largest contribution yet against the crisis. Regional Health Care Affiliates, Inc., D.B.A. Health First Community Health Center, based in Providence, will receive $285,000. The funding will expand access to integrated substance use disorder and mental health services at all Health First locations in Western, KY.
“I want to thank the Trump administration for working with me to provide critical resources to Kentucky to help combat the opioid epidemic. The bipartisan funding agreement I negotiated earlier this year will provide the necessary funds to bolster our ongoing national struggle against opioid addiction and substance abuse. It will fund new grants, prevention and treatment programs, and law enforcement efforts in vulnerable communities across our Commonwealth,” said Senator McConnell. 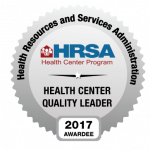 To view a list of other health centers awarded funds in Kentucky visit the U.S. Department of Health & Human Services website HHS.gov or https://bphc.hrsa.gov/sud-mh/awards.aspx?state=KY.